Forms are filled in onscreen for easy data entry. 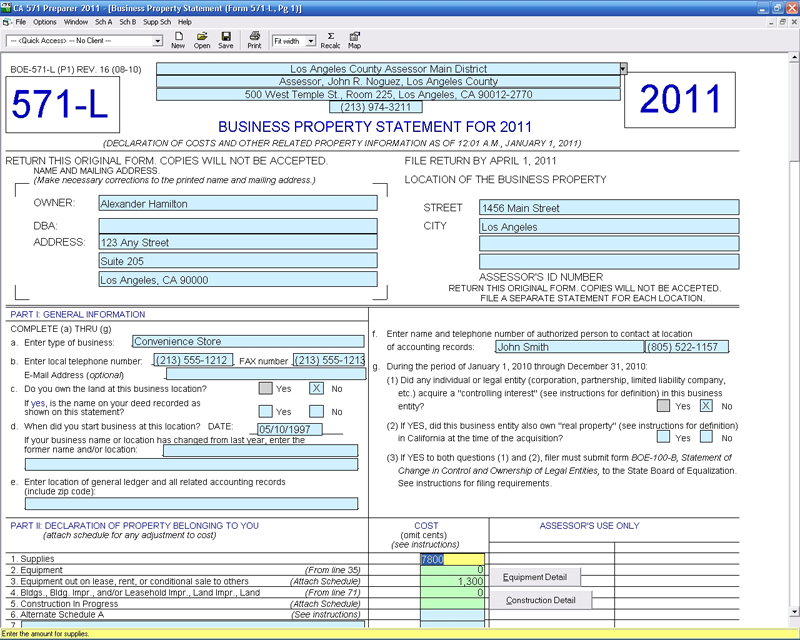 Prior Year Detail is entered on supplemental statements that print with the main form and roll over from year to year. Client Information can be imported from other CFS programs, including CA Sales Tax Preparer. 571 Cost Detail rolls over from year to year. Prints editable Cover Letter with Client Filing Instructions. Label Maker prints mailing labels/envelopes for all 58 counties.